The Congress on Monday accused Prime Minister Narendra Modi of dividing the country on the basis of religion and culture and demanded his apology even as it asked the Election Commission (EC) to take "decisive action" against him for violating the law. The opposition party also accused Modi of insulting democracy by trying to segment Indians in terms of castes and communities. "Prime Minister Modi has indulged in a corrupt practice under section 123 of the Representation of the People Act, besides violating the dignity of the office he holds and every other yardstick that is necessary and impeccable in public life. He must apologise to the nation. "He has insulted the freedom movement, he has insulted entire southern India, he has insulted the composite culture of India, he has insulted the India that is unified by its multiple cultures and also languages, religions, castes and creeds, and the EC must take note of this and take decisive action against Modi," he told reporters. The Congress leader demanded that Modi should apologise to the people of the country, saying he had insulted them, and claimed that the prime minister knew nothing about the geographical or social description of Wayanad in Kerala, which had a 50 per cent Hindu population. Congress president Rahul Gandhi will contest the upcoming Lok Sabha polls from Wayanad, besides Amethi in Uttar Pradesh. "This shows that the PM does not have information about history, geography or society and this is an insult of entire south India and that of our Constitution and India's Ganga-Yamuna tradition. "He should apologise for insulting entire south India. 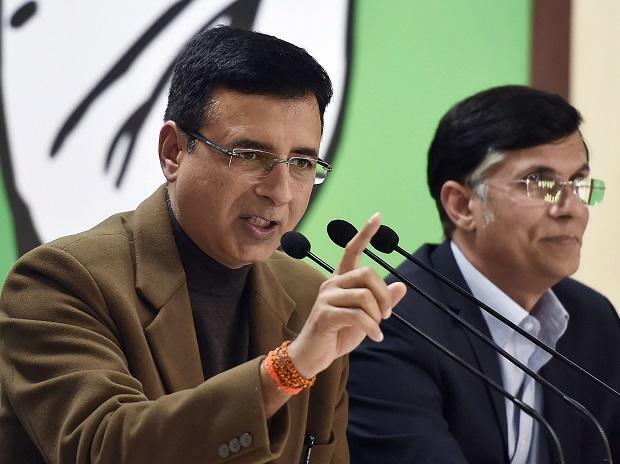 If the EC does not take note of it, we will move the poll body," Surjewala said. He added that by dividing people into religious lines, Modi had violated section 123 of the Representation of the People Act that defined corrupt practices. "This is a corrupt practice and the EC should take note of it and take decisive action against the prime minister. "Modi wants to divide the country on the basis of religion, culture and languages. He is indulging in cheap politics by sowing the seeds of hatred. Modi has gone to the extent of insulting India's composite culture," the Congress leader said. Party spokesperson Manish Tewari said it was unfortunate that Modi saw Indians in terms of their communities as he stated that the Congress was scared to field its leaders from constituencies dominated by the majority community voters. "It is unfortunate that the prime minister of India has spoken such words. Unlike the PM of India, who sees the citizens of the country in terms of their communities and not as citizens of India, the Congress sees each and every of the 135 crore citizens as Indians. "....By trying to segment the Indian democracy in terms of castes and communities, the prime minister has insulted the democracy that we are," he told reporters. Tewari said when the country adopted the Constitution in 1950 and the people of India gave to themselves universal adult suffrage, it meant that "irrespective of which caste, community, region, religion you come from, you have an equal right to vote". He also hit out at Modi and termed his comment that the Congress had coined the phrase "Hindu terror" as "lies". "Prime Minister Narendra Modi is clearly speaking a lie. Hindu terrorism was defined by his ministerial colleague, who was then a home secretary. This definition was given by him. As far as Congress is concerned, it always believes that terrorism does not have any religion or caste and it needs to be fought. "It is unfortunate that the prime minister is trying to speak a lie to deflect the attention from his own failures. He should talk to his colleague and he would know who had defined Hindu terrorism," Tewari said. He added that Gandhi contesting the upcoming Lok Sabha polls from a second seat -- Wayanad -- was in keeping with the tradition of top party leaders contesting elections from south India. "What stops the prime minister of India, if he cares for that India which is in the south of the Vindhyas, from contesting a seat in south India? We have not stopped him," the Congress leader said. To a question on whether the Congress would file a complaint with the EC over Modi's remarks, he said, "We will examine the PM's speech and after that, take appropriate action." Tewari added that it was sad that the prime minister, instead of focussing on his track record and "answering to the people of India for all the lies he had told in the 2013-2014 election campaign, is trying to deflect issues once again". The Hindus had woken up and the country had decided to "punish" the Congress, the prime minister said at a public rally in Maharashtra's Wardha, adding that the opposition party was scared to field its leaders from constituencies where the majority community dominated in terms of the voter-base, without naming Gandhi.